Looking for some fresh new takes on Christmas classic songs for your holiday playlists? Both of these are by Jason Eldridge (my principal collaborator) and I (Frank Rogala - award winning producer, producer, screenwriter, filmmaker and on and on). We've worked hard to create these 2 new indie Christmas singles, that are both vastly different yet fresh and new sounding versions of songs you've grown up hearing. These Christmas songs are available on Amazon, Itunes, Spotify, Rdio, Xbox Music, Google Play, Beats Music, in other words - everywhere. 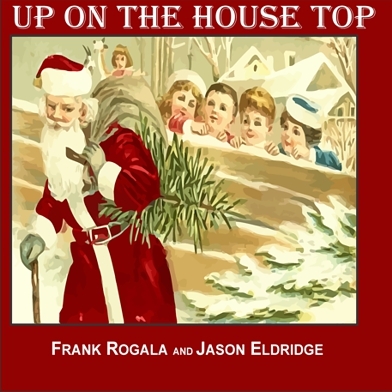 The first is Up On The Housetop which uses a reggae feel, and a whimsical horn arrangement to give a fun, yet modern feel to this classic song. Watch for the smile on everyone's faces when this song plays. If you are seeing this blog, I know you appreciate indie holiday music and you want to hear some alternative versions of those Christmas holiday classics you have heard thousands of times. With that in mind I will share one more that I think you, your family and friends will enjoy. A lot of planning went into our alternative take on I Heard The Bells On Christmas Day. The lyrics were from a poem written by Henry Wadsworth Longfellow during the Civil War. Once you know the story behind it, the lyrics become even more touching and heartbreaking. During the American Civil War, Longfellow's oldest son Charles Appleton Longfellow joined the Union cause as a soldier without his father's blessing. He was severely wounded in the Battle of New Hope Church (in Virginia) during the Mine Run Campaign. Coupled with the recent loss of his wife Frances, who died as a result of an accidental fire, Longfellow found himself at one of the lowest points in his life. 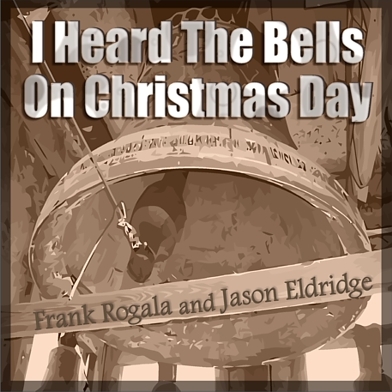 I Heard The Bells On Christmas Day for your Christmas Alternative Music Playlist. Longfellow, heavy of heart, having lost is beloved wife, and with his son near death, walked on a cold gray Christmas morning during the madness and upheaval of the terrible Civil War. Suddenly he was startled to hear Christmas bells from distant churches ringing. The feelings that came over him led to the poem he wrote and lyrics of the Christmas class "I Heard The Bells On Christmas Day." This song connected with me in a very dramatic way. I have a hard time telling the story of it without getting a catch in my throat. For some reason I can very vividly see a worried and heartbroken man walking on a cold Christmas day and being surprised by the sound of those Christmas Bells. Jason and I used instruments available during the Civil War period (mandolin, banjo, thumb piano, accordion, washboard percussion and real church bells) to create this version of the song in a modern pop format. If you like it, please add it to your playlists, share it, and leave a review or comment on it most anywhere (Amazon, Spotify, Itunes, etc. ).